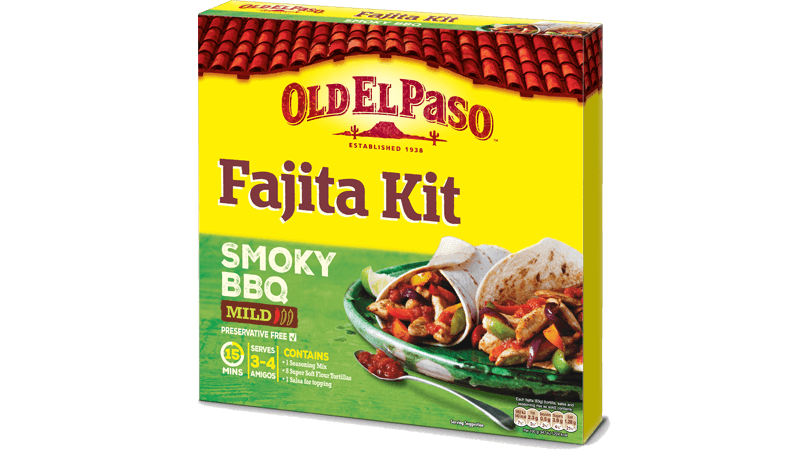 To make the roasted vegetables on the BBQ, simply place all the vegetables into a large bowl, drizzle with the olive oil and then sprinkle with the packet of Old El Paso – stir around to ensure all the vegetables are coated and then pour all the vegetables into the center of a large sheet of foil. Fold up the edges of the foil to create a little foil teepee and place on a warm barbeque for 20 minutes – open the teepee after this time and let the veg crisp up a little for a further 5 minutes (the same can be done in the oven in a large casserole dish covered in foil). 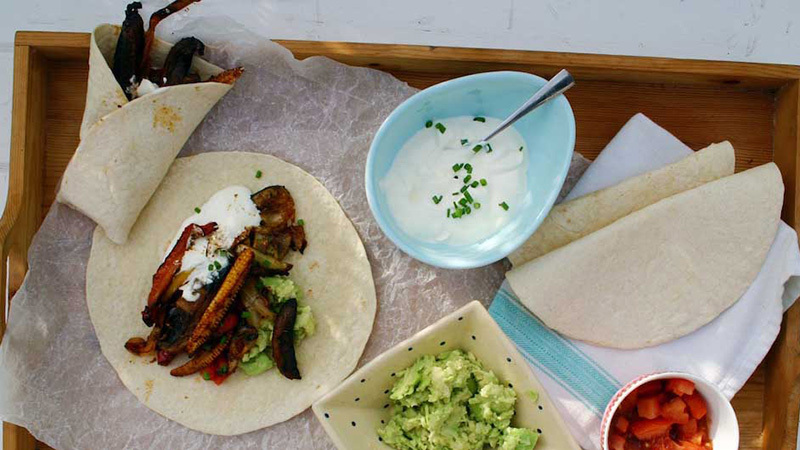 Serve with sour cream and guacamole rolled inside the fresh tortilla. Start by making the tortilla by combining all the ingredients in a large bowl, bring the dough together and then let it rest, covered for 10 minutes before doing anything. After 10 minutes pour a little olive oil on your work surface and knead the dough for 5 minutes, then place it back in the oiled bowl. Then cover the bowl with cling film and let it rise for at least an hour or until doubled in size. After an hour, remove the dough and on an oiled work surface, cut into 12 equally sized pieces. Roll these pieces into balls and flatten into round tortilla shapes. You can either set these aside, separated by sheets of greased-proof paper, or you can cook them now. To cook them, simply heat a large frying pan and dry fry them for roughly 2 minutes on either side. You are looking for a few small brown spots to know they are ready.